Carbon monoxide (CO) is an odorless, colorless, deadly gas. Because one cannot smell, see, or taste it, carbon monoxide can kill you before you know it is there. Where does carbon monoxide occur? Carbon monoxide is a byproduct of a fuel burning. Carbon monoxide can be emitted by gas or oil furnaces, clothes dryers, water heaters, wood stoves, fireplaces, gas ranges, space heaters. Improper venting or a clogged chimney can also cause problems. Everyone! CO effects individuals differently depending on their size and medical history. Families with young children or members with medical conditions should take extra precautions in the event that CO is detected. Where do I place my carbon monoxide detector and what kind do I look for? 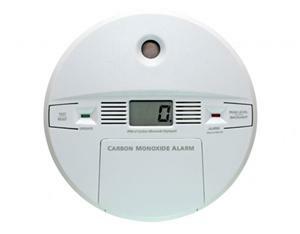 Place a carbon monoxide detector near the sleeping area. A second detector should be located near the heating appliance. When purchasing a carbon monoxide detector look for the UL seal. Different types give a visual number that lets you know the exact level of CO in your home. At least one CO detector should be battery powered, and remeber to change your batteries regularly. My detector has a number in the display panel, how do I know ifmy family is safe? If Less than 10 PPM then this an Acceptable limit. If MORE than 10 or more PPM then a potentially deadly level of CO exists. Should I open my windows if my detector alarms? and let the fire department investigate. How do you know if you have CO poisoning? good indicator. There are no direct symptoms linking to CO poisoning. 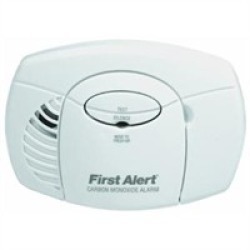 Is it possible for CO detectors to have many false alarms? When CO detectors were first introduced they were adequate but easily alarmed in constant low level areas. Today's detectors are very good and some even have digital displays showing the PPM, which is very accurate. What detectors do we recommend? Many independent agencies have tested and compiled lists of all different makes and models of carbon monoxide detectors. Check to find the best performers and make sure the testing agency is also a qualified, reputable, and non-biased facility.These lists can easily be found on the internet by doing a simple search.